Five years ago, the social networking site Facebook was near to nonexistent in Vancouver. Now, it is safe to assume that everyone has heard of Facebook, and even more, has a Facebook profile. Heck, even my grandpa has Facebook! Lines such as “Facebook me” can be heard in everyday conversations and many consider the site to be highly addictive. As the company is estimated to be worth a staggering 25 billion dollars, I would consider Facebook to be an very successful entrepreneurial initiative. Facebook is innovative because unlike other social networking sites, it connects people while remaining polished. Customization on Facebook is near to none excluding the addition of applications; however, it remains neat and organized. The site makes it easy for friends to send each other messages, share pictures and videos, see what others are up to all at the same time. Although Facebook was originally targeted towards post-secondary students, it attracts all ages. 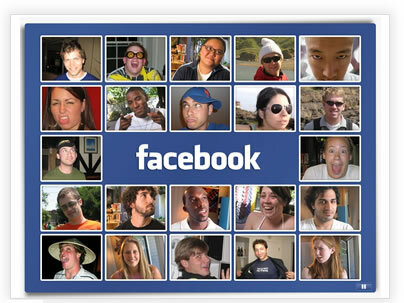 Facebook was co-founded by entrepreneur Mark Zuckerburg at a youthful 19 years of age. An instant success currently housing more than 500 million users, Facebook is the world’s largest social networking website. Though it’s worth in such a short period of time is very impressive, Mark’s innovative motives are not driven by money in “The thing I really care about is the mission, making the world open.”. Just because Mr. Zuckerburg is not in it for the profits doesn’t eliminate the potential risk in the creation of his site; the creation of Facebook nearly jeopardized his enrollment at Harvard University and to this day, Mr. Zuckerburg finds himself tangled in numerous lawsuits.